Choose your car insurance carefully and have adequate coverage in case an accident takes place. There are several types of insurance and dozens of specialty add-ons provided by insurance companies. Liability insurance provides coverage if you are involved in an accident and it is determined that you were at-fault for the accident. Liability insurance covers the cost of medical bills, the cost of repairs to the damaged vehicle, and other related expenses. There is a minimum amount of liability insurance that each driver must carry. While there is minimum coverage required, it is highly advisable that you carry more than this. Liability insurance does not cover the cost of personal injury and the costs of your own property damage. Collision coverage only covers the damage to the vehicle or replace the vehicle if the total damage is more than the vehicle’s market value. Older vehicles usually do not benefit from this coverage, especially when the vehicle is only worth a few thousand dollars. While comprehensive coverage is optional, you cannot go without personal injury protection. PIP covers the costs of personal injuries and medical treatment associated with an accident. Comprehensive insurance covers damage that is not related to an accident. For example, if your vehicle gets damaged because of a pothole on the road, comprehensive coverage may cover the costs. It is not compulsory to have this type of insurance. However, if you can afford it, comprehensive coverage is used to cover all possible types of damage. Not all drivers adhere to the state’s minimum requirements of insurance. If you happen to get into an accident with one of these drivers, you will have to pay for your own damage. Underinsured and uninsured motorist coverage protects you from out-of-pocket expenses in case you are involved in an accident with an underinsured or uninsured driver. If you have been involved in an auto accident, you may have medical expenses and repair bills to pay. These bills can easily run into thousands of dollars. Getting the insurance company to pay damages that you deserve can be much more difficult than you think. Speak with a lawyer who can negotiate with the insurance company on your behalf. 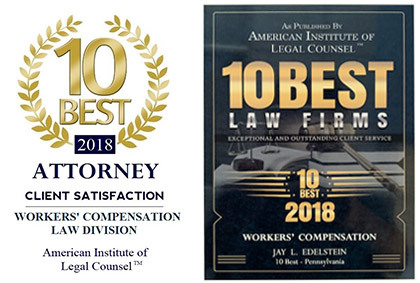 For a free consultation, call Edelstein Law Offices at (215) 893-9311. Two recent crashes involving Tesla car models with Autopilot, especially a high-profile fatality in Florida involving a Tesla S model, show that the push toward self-driving cars still has many unsolved problems. The fatal crash occurred when the driver had put the car on Autopilot and the system failed to recognize the white side of a big rig that was turning in front of the vehicle. The U.S. National Highway Traffic Safety Administration (NHTSA) is conducting an investigation of not just the incidents, but the Autopilot system. Consumer Reports meanwhile has openly criticized Tesla saying the company is misleading car owners by calling its semi-autonomous driving system “Autopilot.” Consumer Reports called on Tesla to drop the Autopilot name and disconnect the automatic steering system until it is updated to make sure the driver’s hands stay on the wheel at all times. The system currently warns the driver only after a few minutes of their hands being off the wheel. It seems that automakers and researchers alike are grappling with the human aspect of self-driving cars. There are a number of daunting questions. When should drivers take over? Will their reaction time be sufficient if they are not paying attention to the road? When should the car stop and the driver take over? What is the driver’s responsibility versus the vehicle’s responsibility? If a car’s computer system is unable to detect a problem ahead on the road, how could it possibly alert the driver? What if people are daydreaming or absorbed in a book or their smartphones? These are some of the questions researchers are trying to answer. The other question, too, is whether autonomous driving and traditional manual driving could or should coexist in the same vehicle. Google has already decided that cannot be the case. The fact is simply that self-driving technology is not ready for full autonomy. The sensors on the Model S that crashes were not designed to detect the kind of problem encountered in the form of the turning big-rig. A man ended up dying because his self-driving car couldn’t drive. It is shocking that federal safety regulators did not require Tesla to test the system before putting these vehicles on the market. It could have prevented Tesla occupants from becoming human guinea pigs. Automakers like Tesla must stop blaming victims and take legal responsibility for Autopilot failures. Did you know that you could be just as liable (or more liable) for property damage or injury for opening your car door into traffic as the person driving the car that comes into contact with your door? Well you can. That is why it is so important to look for oncoming traffic before you open your door. In Pennsylvania, there is a statute on the subject which states, “No person shall open any door on a motor vehicle unless and until it is reasonably safe to do so and can be done without interfering with the movement of other traffic.” 75 Pa.C.S.A. § 3705. You could also be severely injured if you open your car door into oncoming traffic. Remember that the best protection is to be alert and vigilant of your surroundings. Witnessing a car accident can be a frightening experience. Whether you are a fellow driver on the road or a bystander, the sudden wreck of other vehicles can shake you to a halt. If you do end up witnessing a serious road accident, there are things you can do to help those affected receive prompt medical attention and, if later legal action is needed, be a reliable witness. See below for the steps you should take after witnessing a car accident. Whether you are a pedestrian or a motorist, a car accident should be enough to give you pause. If you are in a car, put your hazards on and safely pull over at your next opportunity. If you are a pedestrian, keep a safe distance from of the wreck—there could be a risk of fire. Some people will advise you to approach the vehicle and check for injuries before dialing 911, but this is ill-advised. There could be fire or the risk of further combustion. Instead, call 911 and give them your location and any other information you can from your view of the crash. If you can tell that people have been seriously hurt, it is still advised that you do not attempt to treat them or remove them from the vehicle. They could be suffering significant internal injuries and moving them could do further damage. In almost all situations, it is more important to wait for emergency personnel to arrive at the scene. When police arrive at the scene, they will want to know how and when the accident occurred. Because those involved in the crash may not be able to comment, the testimony you give could be crucial. Be as calm and clear as possible in your retelling of events. In the event that accident was the fault of one of the involved motorists, you may be contacted later by an insurance company or an attorney about the circumstances of the accident. Following the crash, take whatever steps you need to keep the details of your account fresh. You can write your account down, or record it on your phone—anything that will help you recall details that could be crucial in recovering victims the relief they deserve.